The change documentation describes the improvements of ATPDesigner in German related to the release information which can be seen in the Info about ... dialog. The tutorial explains how to use ATPDesigner. The manual written in German can be downloaded as a .PDF-file. The manual also contains a tutorial "How to Use ATPDesigner". The manual written in German can be downloaded as a .PDF-file. The manual explains how to use ATPDesigner for Protection Relaying Applications. 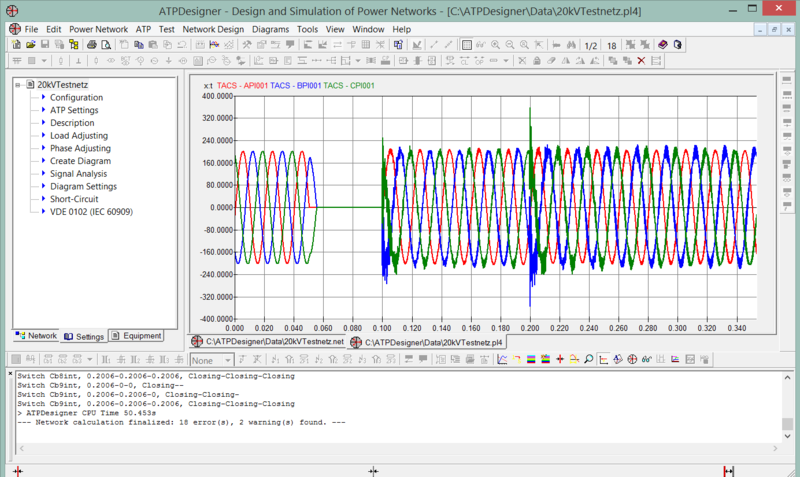 This test reports demonstrates the capabilities of the Renewable Power Infeed model of ATPDesigner (RPI-Model). Both ATPDesigner and ATP can be started from a 2G-Byte USB-Stick without an installation on a laptop or PC. 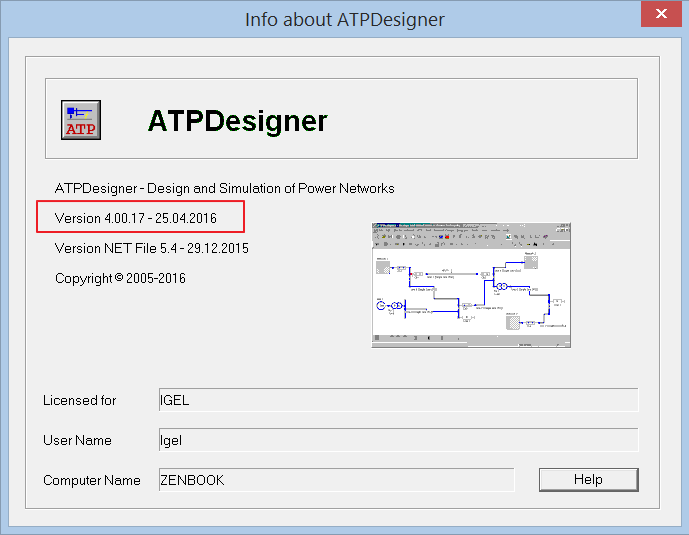 A setup can be downloaded to install the Trial Version of ATPDesigner. 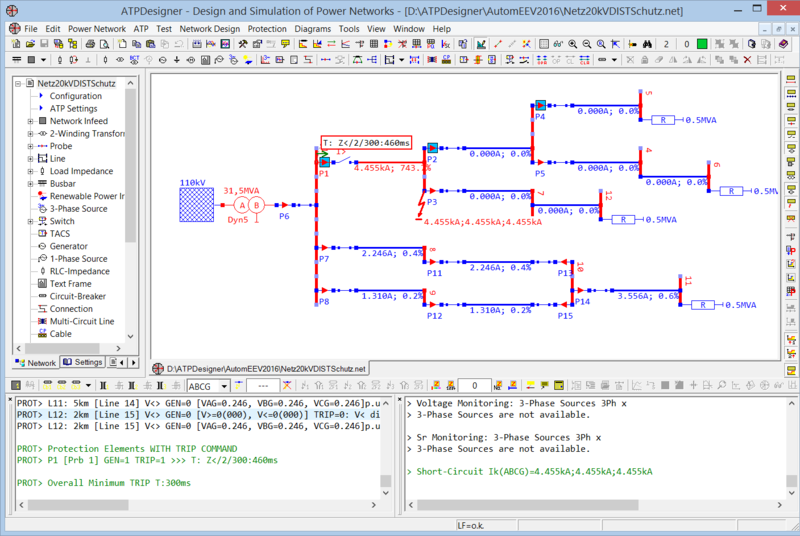 The trial version includes all features of ATPDesigner. But it is required to ask for a license key to execute ATPDesigner after its installation. Please contact the author of this web page in case of questions ot to get a time limited license key. The help file can be downloaded as a .ZIP-File which contains the .CHM-File. The help file can be downloaded as a .CHM-File. The .ZIP-file ExampleNetFiles.zip can be downloaded which contains a lot of .NET-Files. 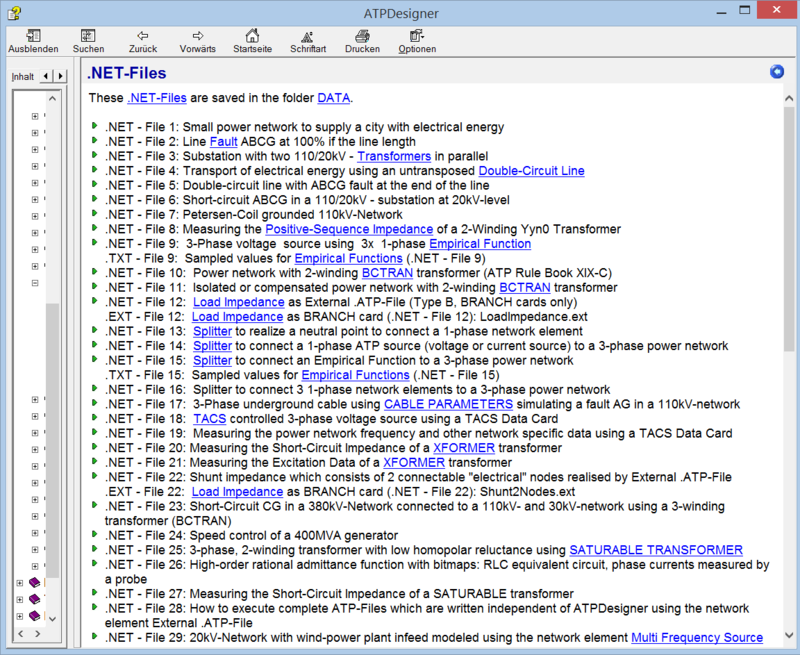 These .NET-Files can be used to study the features of ATPDesigner.